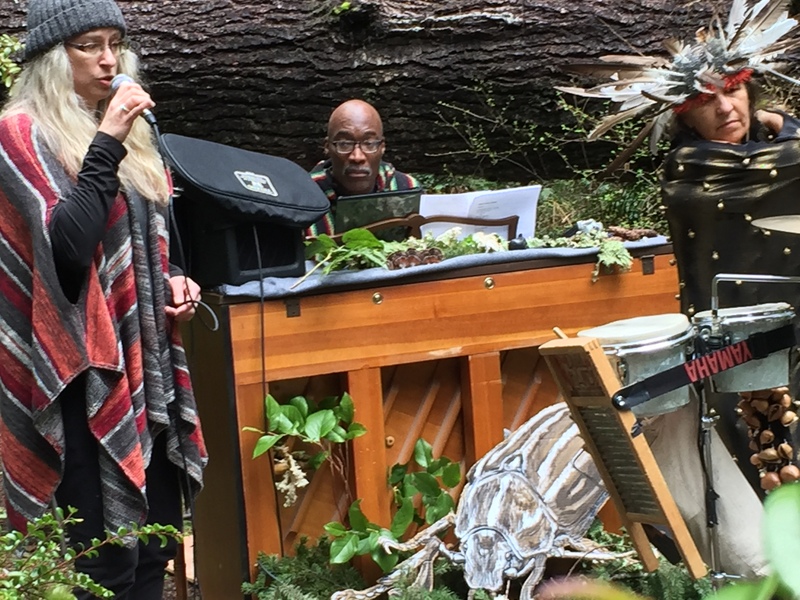 On April 1, pianist, composer and Portland State University Professor Darrell Grant led a collaborative performance with fellow Oregon-based musicians to celebrate the Elliott State Forest and advocate for keeping it in public ownership. Their effort came at the invitation of Forest advocates from Coos County in advance of a vote by the Oregon Land Board, scheduled for May 9, that will determine whether or not to sell the Forest’s 82,500 acres for $202.8 million to help fund public schools. Grant wanted to find out if art can influence that decision. 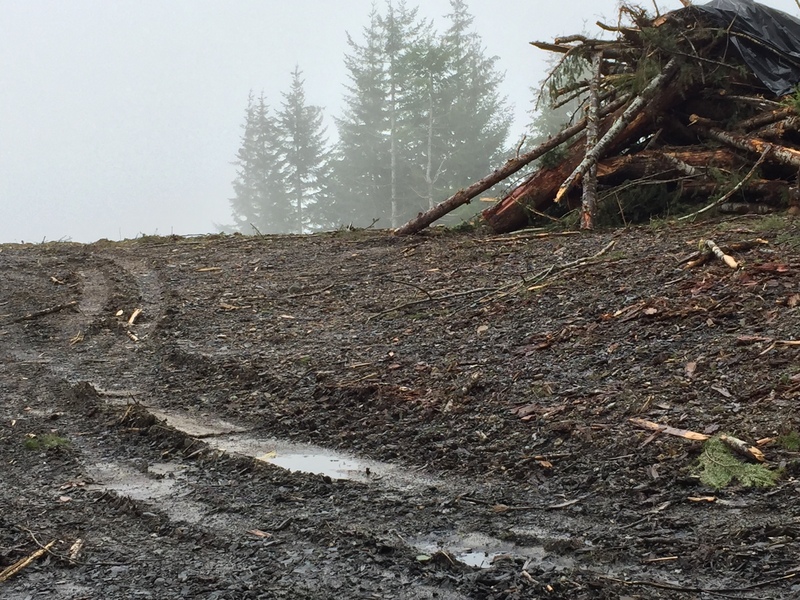 “I want to publicly acknowledge the land as a source of creative inspiration for so many of us lucky enough to live here,” Grant said, explaining what moved him to haul a piano up and down 15 miles of logging roads. His latest album, “The Territory,” makes explicit that connection in nine movements that capture, in sound, the terrain and shared history from which he believes local art draws its flavor. Darrell Grant – ” The Territory” World Premiere July, 6, 2013, Mvt 9: “New Land” from DGM Media on Vimeo. And the Elliott State Forest has generated plenty of those political threats of late. Required by law to manage the Forest to produce revenue for public schools, the state has consistently failed to meet harvest goals—due to environmental and species protections that limited logging, some argue, though larger economic forces may have had a hand, too. 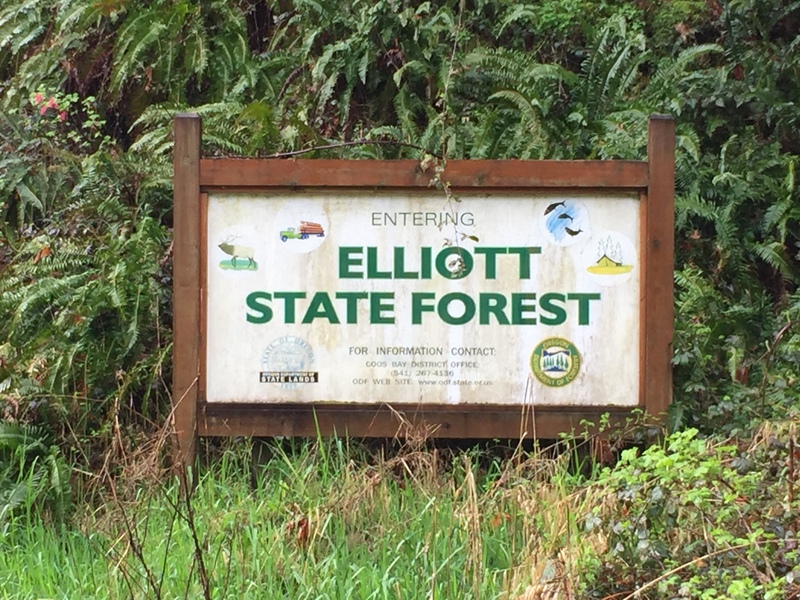 In 2015, the Land Board set terms for a sale, hoping to bring in money the state could invest to ensure the Elliott Forest benefits public schools. Such a sale would mean the state would no longer own the land, and, despite protections and good faith efforts by timber companies, the Forest could become a tree farm managed for maximum harvest. Many of the attendees Saturday, on the other hand, believe the forest should be treated as legacy: a habitat for salmon, seabirds and other creatures that thrive in undamaged, diverse ecosystems. Could a musical performance—and whatever publicity it generates—impact the Land Board’s decision? Could it inspire ideas for mechanisms to fund K-12 education besides selling the state’s remaining forests? Could it create a new way of approaching issues such as these? I followed Grant and his band of collaborators into the Elliott to participate in and chronicle their search for the answers. When we arrived, it was Springtime on the Umpqua. The ospreys have returned, their cries sharp above the roaring river. Wild cherry blooms along the banks. Mist clings to the hillsides and the ground is soft. Log trucks roll down the highway. Grant follows a U-Haul truck off the river road and into the Forest. In back, it totes an old piano and a battery-powered amplifier. It’s overcast and damp, but the light mist is gone by afternoon. They set up the piano in one of the few level spots in the steep terrain. Most of the area surrounding the site is second-growth fir some 50 to 70 years old. The Forest’s remaining old growth is much harder to reach. When they’re felled, these trees are yarded some 1,500 feet up the 45-degree hillsides. Fallers and choker setters risk life and limb to extract logs that can’t be taken by machine. Creek bottoms are brushy and impassable, the only trails made by elk. This is “Sometimes a Great Notion” country, where novelist Ken Kesey set his saga of a logging family and its patriarch’s fight against the community as well as the land itself, a tragic tale about the last of Oregon’s rugged individualists. Many of the 50-some attendees were also residents of the Oregon coast or nearby areas. And though they came from Portland, several of the performers have personal and family connections to timber country, too. Guitarist Cole Robinson was raised in North Bend; guitarist Ryan Meagher’s maternal grandfather was killed falling trees outside Coquille; and I’ve worked in the Coast Range myself, as has MC Shoehorn Conley, a saxophone player, tap dancer, and former tree planter. Singer Margaret Linn also showed she’s comfortable in the forest, whistling like a chickadee and alerting us to the high-pitched cry of the winter wren. In the mid-afternoon, Grant introduced the program, laid hands on the keys, and music rose through the timber. Dancer and percussionist Luciana Proano, dressed in one of three costumes she wore that afternoon, moved slowly toward him, bent like a bird and blowing a tiny whistle; rattles of spider-egg casings shook at her ankles, long brown pelican feathers ran up her back, down her arms, and were piled on her head like a crown. But what did it accomplish? 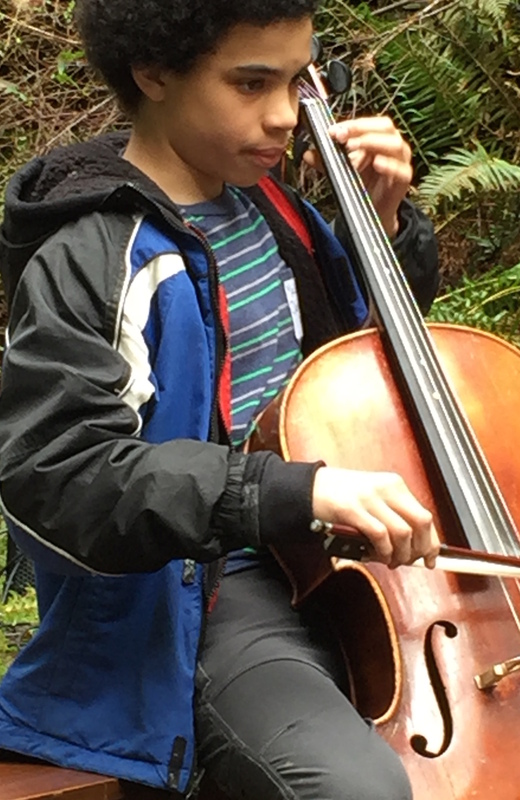 “I wanted to play music in the Forest to raise awareness,” Grant said the following Monday on OPB’s Think Out Loud, “and I achieved more than I thought I would. The people who have been working on this [issue] for months told me this event inspired them. Or maybe it will turn out to be a celebration of a victory achieved by more traditional means. Once the environmental groups that backed Tobias Read’s run for State Treasurer learned of his intention to vote in favor of the sale, they applied pressure in the form of calls and emails and threatened to back an opponent when he runs for reelection or even initiate a recall. Willamette Week reported this week that Read has decided to vote against the sale. But the concert will have accomplished something more far-reaching if it becomes a model for bringing art into the Forest and encouraging people to use public lands for purposes other than extracting resources. “Water spirit feeling running ‘round my head, makes me feel glad that I’m not dead,” the crowd sang along with Pepper’s healing anthem. And who knows? Such places may indeed save our lives. Lynn Darroch is a jazz journalist, spoken word artist, and radio DJ who has covered jazz and other music in the region for local and national publications since 1979. He hosts the weekly radio show Bright Moments! on KMHD-89.1 FM. In collaboration with area musicians, he has developed a unique method of telling stories in an interplay with live jazz and Latin music, captured on three albums: Local Heroes/American Originals (2009), Beyond the Border – Stories of the Latin World (2008) and Jazz Stories Heroes of the Americas (2006). His performances are available in both audio (https://soundcloud.com/ynnarroch) and video (https://www.youtube.com/user/darrochstories). Want to learn more about contemporary Oregon composers like Darrell Grant? Check out Oregon ComposersWatch. Thank you for making this beautiful effort to save our forests and public lands. The children really need to experience the wilderness to develop an appreciation for the environment, draw inspiration from it, and express that appreciation through the arts, as well as advancing their creativity in all areas of life. That is a better education by far than only sitting in a classroom. It is good that Darrell Grant began fulfilling his vision of “Jazz Ecology” as stated in Lynn Darroch’s “Rhythm in the Rain”.